For months, night after night, with a new bottle of Chardonnay in hand each evening, LeNae sat in front of the TV plotting her revenge against those who threatened her family’s livelihood while also ripping her security and joy right out from under her. Then one night, like an unexpected smack on the forehead from the universe, LeNae realized that she had a choice to make. She could either continue on the path of blame, hate and revenge, or she could make a different choice. Luckily, she chose the latter, and Seven Sundays to Sweet Inner Serenity includes each step she took to reclaim her personal power and her inner serenity. 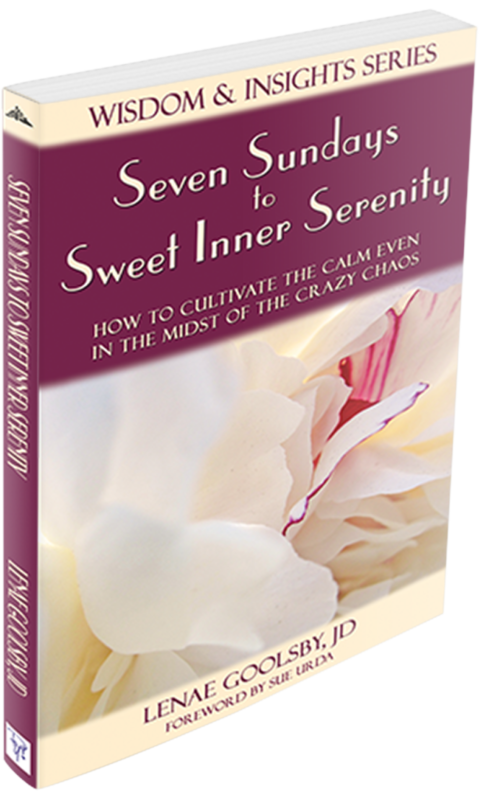 Maybe you’re not plotting revenge, but if you are struggling with depression, anxiety, despair, anger, or just trying to hide from chaos, Seven Sundays to Sweet Inner Serenity is the guidebook your soul is seeking. LeNae Goolsby is the Co-Founder of Infinite Health Integrative Medicine Center, a boutique elite health optimization, longevity, and regenerative practice with centers in New Orleans and Lake Charles, Louisiana. She is also an Amazon #1 Best-Selling Author, Empowerment Coach, and Speaker. Her entrepreneurial and empowerment expertise has been published in Entrepreneur.com, BusinessInsider.com, MindBodyGreen.com, and many others. LeNae received her certificate from the Duke University Integrative Medicine Center Leadership Development Program and her law degree from Tulane University Law School. Somewhere in between Tulane and Duke she completed her universal laws-centric coaching studies.